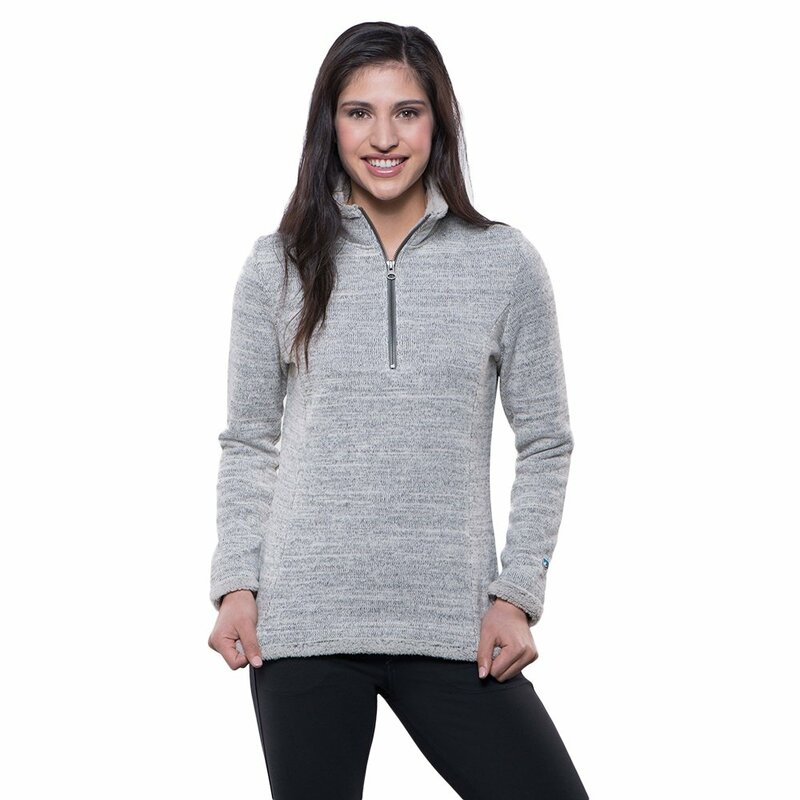 A truly unique way to keep yourself warm and cozy, Kuhl's Alska 1/4 Zip Shirt is made from a warm, rich polyester fabric. The fabric boasts a unique look and texture that give it fashion sense that other 1/4 Zips just don't have. Shearling trim around the collar, cuffs and hem keep you extra cozy. From errands to parties, this shirt keeps you looking and feeling great. "Is it a metal zipper? And is there fleece behind it so then it doesn't rub up against your neck?" "Yes the zipper is metal, but there is no Fleece; however you may want to consider these style numbers instead: 2089, 4354 as they are the same brand and similar style. I hope that this answer helps. " "Do any of these come in a size medium?" "All sizing that is available at the current time will be shown. Hope this information helps."